Zoiks! Online - The Very Best in Stand-Up And Music! : "Geoff Tate of Queensryche has built an 'Empire.'" "Geoff Tate of Queensryche has built an 'Empire.'" The band Queensryche has been around for many years. However, the average person may not even know who they are. Geoff Tate, the lead singer of the band, said about the songs and the band’s writing: “…We just sit around and talk about it, and that conversation inspires us to individually come up with parts. Then we get together and compare notes, try things out and work from there. But every time, it all starts with a conversation.” For those who have yet to experience one of the greatest bands ever, let’s begin the conversation. Q – Queensryche has been around for almost 30 years. I understand you were actually recruited to sing songs when the band was named The Mob. And I heard that you actually left the group because you didn’t want to perform heavy metal. Why was that? A - Kelly Gray, who is a long time friend of mine, and I had a band together called Myth. We were writing songs and had a full album together but we could never get it off the ground. I had played in a cover band with the guys in Queensryche; we were called The Mob. I had said to them, "I really like you guys. This has been really fun but I really want to devote myself to writing. I am going to split off and devote myself to the Myth project." A year went by and Myth couldn’t get a record deal. The Queensryche guys came back to me and told me that over the course of the year, they had been writing songs. I listened to them and I really liked them. They asked me to sing on the album and they told me that they had some connections and they thought that we could get a record deal. I agreed to sing on the album with the condition that we write a song together. 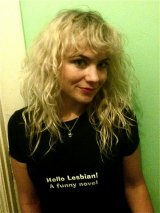 We wrote "The Lady Wore Black." We changed the name of the band and we got a record deal. Q – What musical background did you come from if not heavy metal? A - I played piano starting at age nine and played trumpet in the school orchestra, later playing in small ensembles throughout junior high and high school. I studied classical European music and later, American jazz and was influenced by pop music of the 60’s and 70’s. Q – Queensryche is labeled as a progressive rock band. It kind of blends a lot of different styles of music. How did you develop this sound? 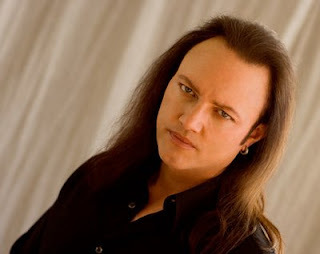 Q – Whenever I mention the name Queensryche, people always say, “Geoff Tate has the best voice in music.” It’s very operatic. How do you NOT lose your voice on a regular basis? A - "Practice makes perfect." I think that has a lot to do with it. Touring helps me keep my game up. If I don't tour for six or eight months, I can definitely tell. It takes me a few months to get myself up to what I would consider a passable performance level. I just have to keep active and keep singing every day. Q – Have you ever been approached to do voice over work? Q – What I love about Queensryche is the albums have storylines. They’re like rock operas. I was fortunate to see you guys in Joliet at the Rialto Square Theatre. It wasn’t like I was watching a concert; rather I was watching a show. When you decide to write and record an album, is there a mentality going into it, like this is what THIS album is going to be about? A - We look at writing music as a personal experience; it's not a sporting event. It's feelings that you have and subject matter that moves you. We match music to what the lyrics are trying to convey. To us, lyrics are very important, it's the message of the song, and what we try to do is paint the picture of what the lyrics are about. Q – The new album, “American Soldier” is based off a conversation with your father. It’s kind of a tribute to war veterans. I’m 34 years old and in my short life I’ve seen people’s opinions about veterans change. Years ago, there was such a high regard for veterans and now it doesn’t seem that way as much. Putting out this album, when you’re on the road, with the war being such an iffy topic, do you get stories that shock or surprise you about the perception of veterans? A - Nothing is more moving than actually experiencing something yourself. Music can give you insight into things, provide receptors, enhance your imagination and that's what we tried to do. We wanted to put the listener into the lives of these soldiers. I walked away from this project with a feeling of gratitude for the soldiers’ experience and what they sacrificed and what they go through. I think that is one of the main points that I hope people take away after listening to the music on this album. In America, I think that we take for granted what our military does. We are very free to follow our dreams and pursue our goals and we don't worry about an unwelcome force kicking in our door at night. We don't have to defend our patch of ground because somebody else is doing that for us - watching our back. What the soldiers do is a very important thing. Q – How much more does “American Soldier” mean to you being that it derived from a conversation with your father than other Queensryche albums? A – “American Soldier” is an album that dramatically affected me on a number of levels. I’m very grateful to my dad for sharing this particular part of his life. I know myself better now because I know him better now. Q – Every day there’s a new pop tart or act that comes out, makes it big, and then disappears. Yet, Queensryche stays under the radar in terms of being commercial and just keeps putting out these monster albums. What do you think the landscape of the music business is? Do you think it’s in disarray? A - About 1990 there was a huge shake up in the music industry and the six major record companies fired all the music people and hired business graduates to take over the spots. So, the music became not as important. What really became important was the bottom line; how much money you could make. The beans were being counted with great efficiency. So the whole industry has changed dramatically because of that. It used to be an industry filled with people who were into music. They came from music backgrounds and it showed because there was diversity in what was getting attention and funding. Now it's so pop culture derivative, and there are a zillion bands that are there to take your place if your single doesn't hit in the first six weeks. In the past, record companies didn't expect a band or artist to hit really big until their third or fourth album. It took that long for an artist to build up an audience through touring and live exposure. You had to be able to play. You had to actually be able to sing. You had to be musicians. Nowadays, what’s left of the industry, supports and finances people that aren't musicians, but have a celebrity image. They sell that and train consumers to accept the mediocrity that's everywhere in our culture. We're a mediocrity worshipping culture now. Q – Is it difficult is it to stay focused with the band’s objective when you see all these people making money and gaining fame quickly? A - No not at all. To me, music is expression and communication and that's what I focus on - just writing records. I love creating music, telling stories and structuring those stories so that they have some sort of message. Q – Before I let you, I want to tell you that “Operation Mindcrime” is one of my top five favorite albums of all time. I still listen to it today. There was a very intricate story line and it seemed to be almost like a novel. Do you come up with lyrics and then add music? Is there a process to your writing? A - The process almost always starts the same way, spending a lot of time talking about it, visualizing what the plan will be, what we're going to try to do with each song. We spend the majority of our time talking about it. Sometimes at rehearsals we don't even pick up the instruments. We just sit around and talk about it, and that conversation inspires us to individually come up with parts. Then we get together and compare notes, try things out and work from there. But every time, it all starts with a conversation. Q – I appreciate you taking the time to do this. A - Thanks for the interview. 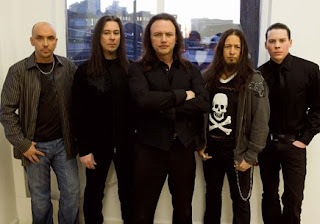 For more information on Queensryche, visit: www.queensryche.com. Check them out on tour now.